Ravi S. Ramjit, D.D.S., P.A. (Miami) - Book Appointment Online! Ravi S. Ramjit, D.D.S., P.A. 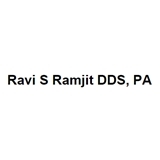 Ravi S Ramjit DDS PA is a local dental office in the Kendall/South Miami area. We perform routine cleanings as well as take care of any problems you might be facing. If you’re looking for a dentist in Miami, FL, you’ve come to the right place. Ravi S Ramjit is a trusted dentist who cares about his client’s health! He has built up an established dental practice with a modern, gentle approach to oral care. Our goal is to provide quality care to every patient who walks through our doors, and we achieve this objective through attentiveness, open communication, and patient education. Super professional and accommodating. Love the early morning appt.